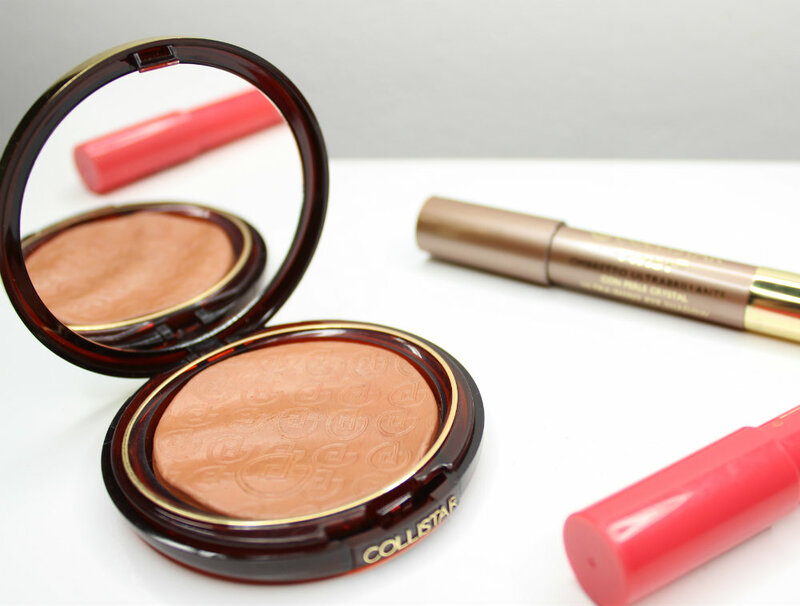 If I had to choose the ultimate beauty brand to represent Italy, I’d definitely pick Collistar. I don’t know if that’s because they have been around (and popular) as long as I can remember, or because of how they’ve really been highlighting their “Italian-ness” over the last few years through their Ti Amo Italia (I love you, Italy) marketing campaigns. All I know is that Collistar just screams “Italy” to me. 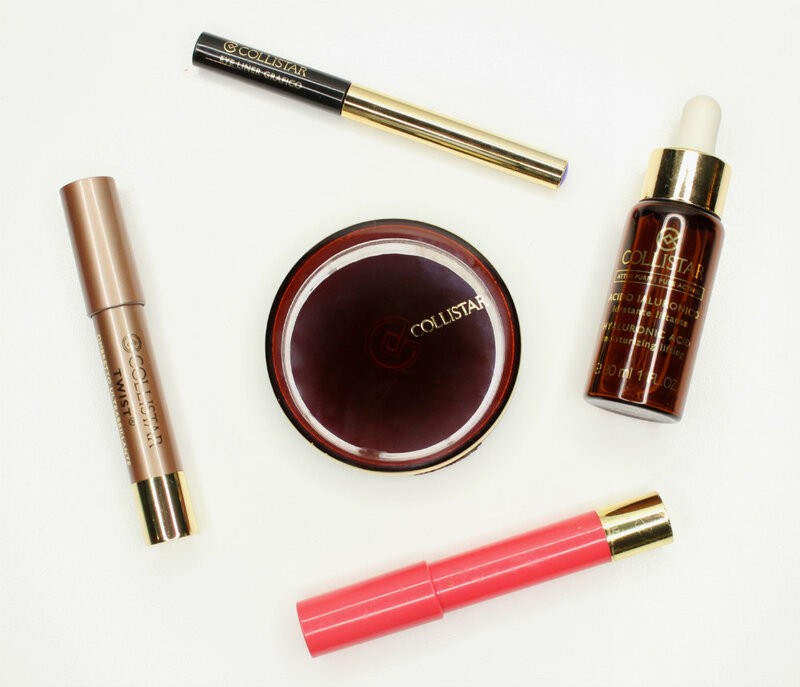 It’s a high-end brand, and they make literally everything from makeup, to skin-, body-, and hair care. I think their biggest strength is being able to offer high quality products at a reasonable price (think Clinique’s price range). 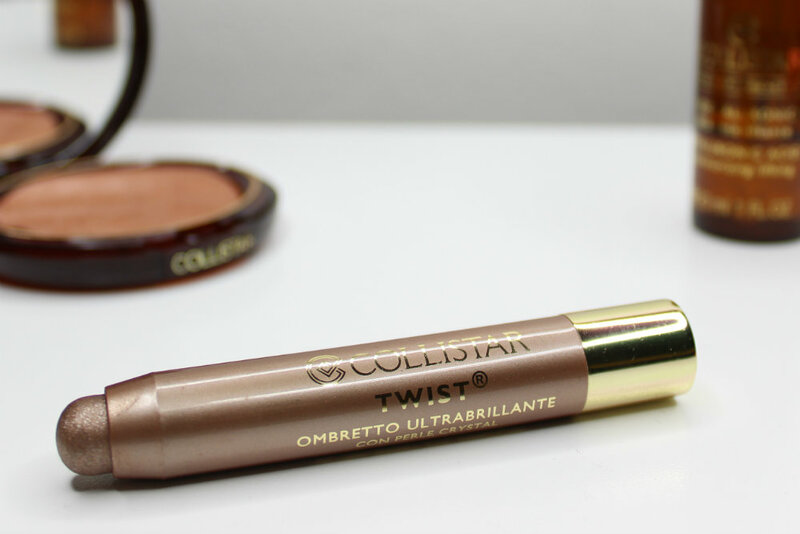 Collistar TWIST Ultra-Shiny Eyeshadow in Bronze is my all-time favorite eyeshadow to use in the summertime. It gives lids the most beautiful wet-looking wash of caramel color, and it’s so, SO amazing!!! If you don’t believe me, check out this picture I posted on my Instagram last summer… Not bad, eh? 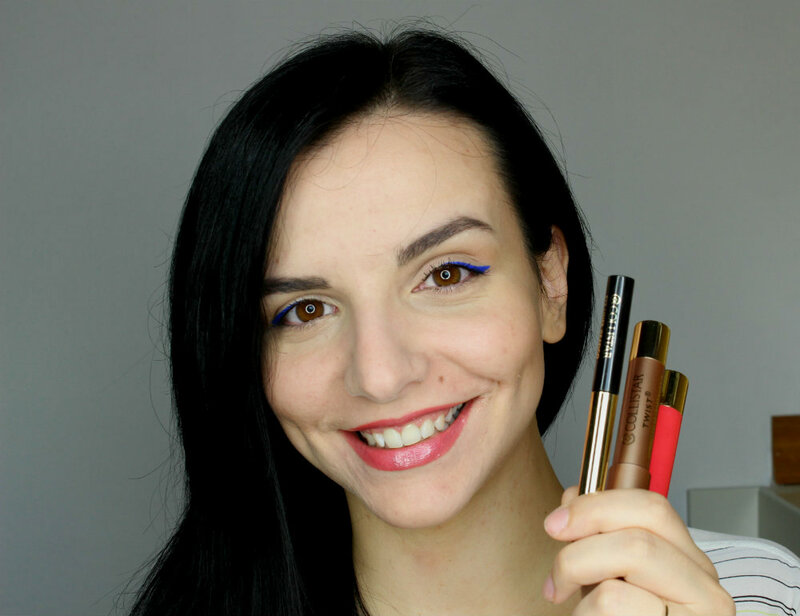 If you have brown eyes and you’ve never used blue liner, you’ve been totally missing out! 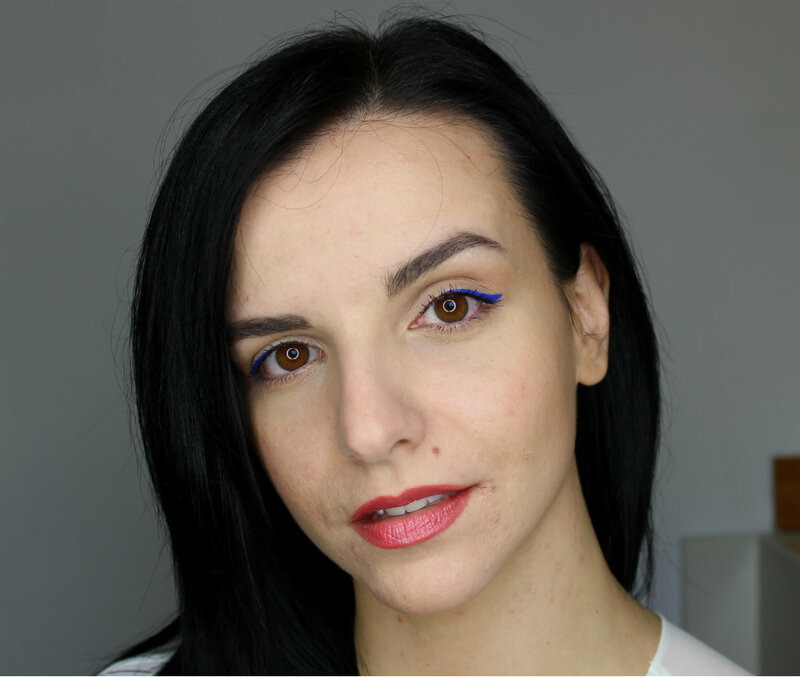 Blue eyeshadow can be tricky to use sometimes, but I feel like you just can’t go wrong with liner. It will bring out your iris color without being too over the top. 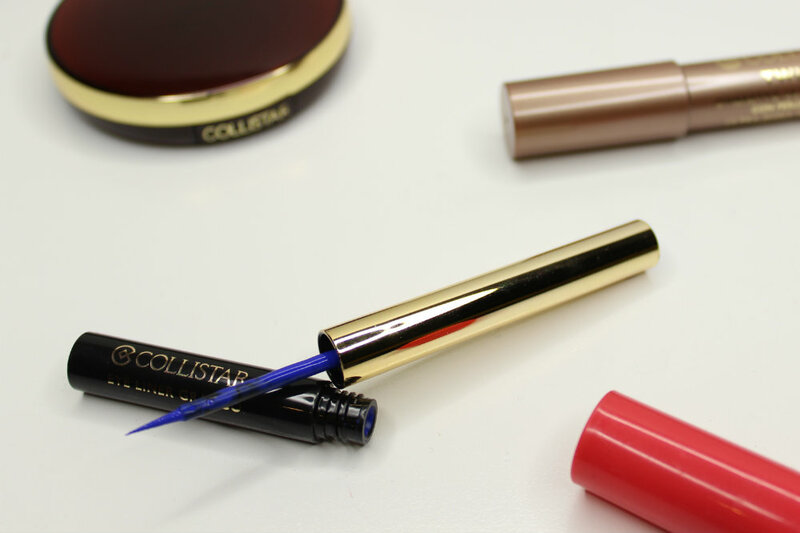 I always get compliments on my eyes and makeup whenever I wear Collistar Graphic Eyeliner in 3 Valeria Blue. The color is an amazingly vibrant cobalt blue, while the formula is opaque, easy to use and long-lasting. I highly recommend it if you’re looking for something other than black to mix things up a little! 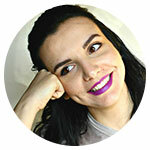 I think this TWIST Ultra-Shiny Gloss is one of the most user-friendly lip products I own. 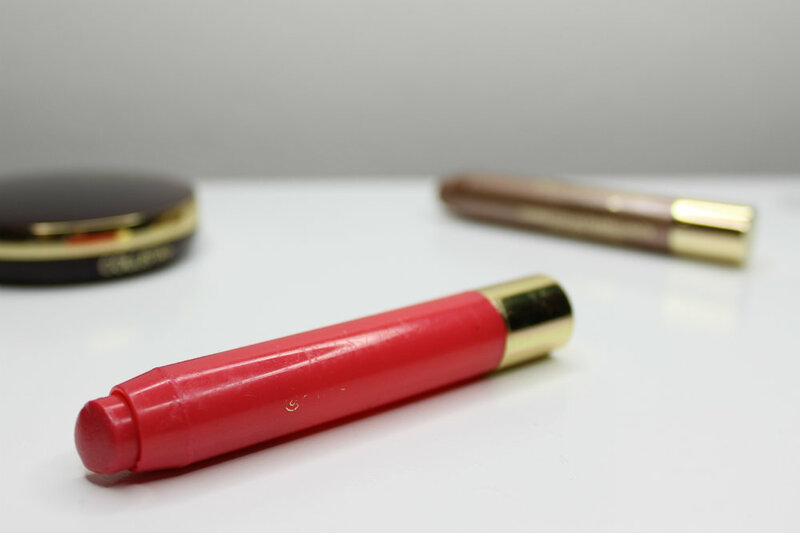 The twist-up stick means that it’s very convenient to apply and just pop in your purse for touch-ups, AND it contains hyaluronic acid and procollagen to help lips stay nicely hydrated. Its coral pink hue and juicy finish make it ideal to use in the warmer months. The 3D Bronzing Powder in 2 Biscuit is my most recent Collistar acquisition, and I’ve already fallen head over heels for it. It’s different than any other bronzer I’ve ever used… I believe it might be similar to the matte Make Up For Ever Pro Bronze Fusions (which I’ve never tried, though), in the sense that it is completely weightless and non-powdery and delivers a luminous finish without being shimmery. AMAZEBALLS! 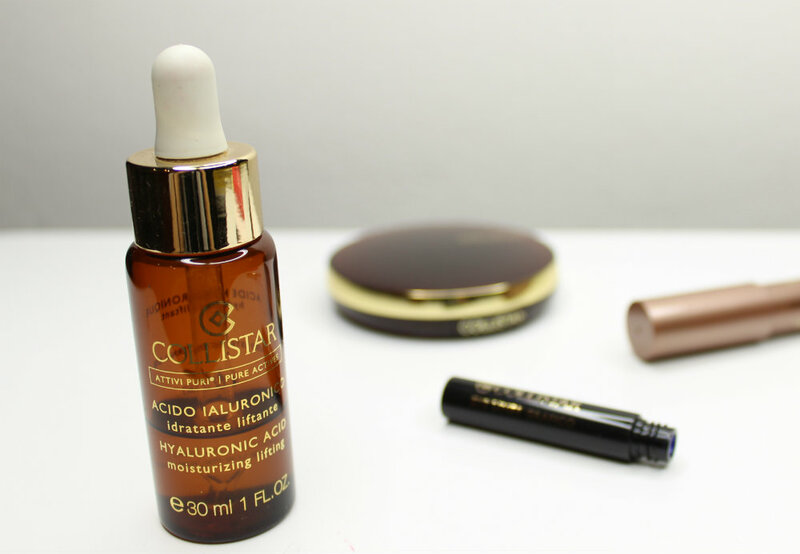 Collistar Hyaluronic Acid serum is one of my holy grail skincare products, as my oily skin loves how it’s both very moisturizing and very lightweight. If you have dry skin, you can use it for a boost of hydration before applying your usual moisturizer. You can find Collistar in most beauty and department stores in Italy, and according to Collistar’s website, their products can also be found in many other European countries, the Middle East, Asia, and South America, as well as on feelunique.com. I know Collistar, even though I don’t think I have used any of their products. But I love anything in stick form, so I will see if I find anything from their line here. It should be on douglas.de, but I don’t know if it’s in stores as well. For some reason to me this packaging does not stick out. The twist stick eyeshadows look intriguing tho. It’s not my style either (I’m more of a NARS kind of girl), but the products are still good. I discovered Collistar on your blog, I don’t think I had heard of it before. It’s good to know that it’s available on feelunique, I might give it a try next time I order from there! They don’t carry everything at the moment, but it’s pretty new on there, so they might expand the selection in the future. I wish that international makeup was available everywhere! I can’t wait until I have the opportunity to travel to Europe, mainly so I can experience all of these amazing brands! It all sounds pretty amazing. You’re making me want to move to Europe more and more even though I already lived there for a while!